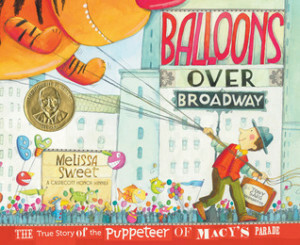 Balloons Over Broadway: The True Story of the Puppeteer of Macy’s Parade by Melissa Sweet (2011). Tony Sarg was an immigrant to America and gave our country the long-lasting gift of the giant balloons that would become a mainstay of the annual Macy’s Thanksgiving Day Parade. With beautiful, colorful watercolors and mixed media collages, Melissa Sweet brings the story of Tony Sarg’s puppets to life. This is a great story to read at Thanksgiving or any time! 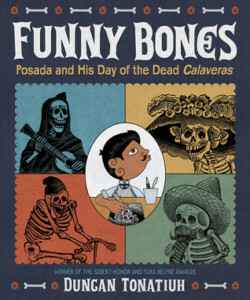 Funny Bones: Posada and His Day of the Dead Calaveras by Duncan Tonatiuh (2015). Mexican artist Jose Guadalupe Posada is known for his calaveras – lithographs of skulls and skeletons often tied to Day of the Dead and often humorous and/or political. Illustrator Duncan Tonatiuh combines his distinctive style influenced by Mixtec art with reprints of Posada’s art to bring the time period and the artist to life for young readers. 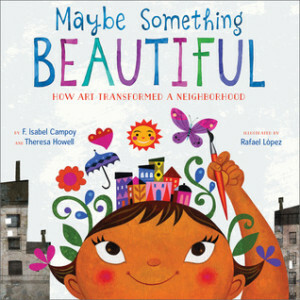 Maybe Something Beautiful: How Art Transformed a Neighborhood by F. Isabel Campoy and Theresa Howell, illustrated by Rafael Lopez (2016). Based on the true story of the Urban Art Trail in San Francisco, this book is about young Mira who lives in a gray, depressing urban neighborhood until an artist arrives to bring colorful murals and transform their neighborhood. 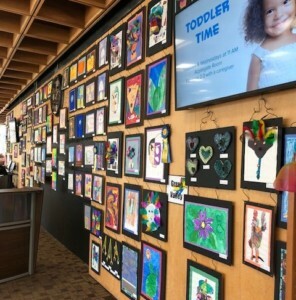 This is a great story about how art can change people’s lives. 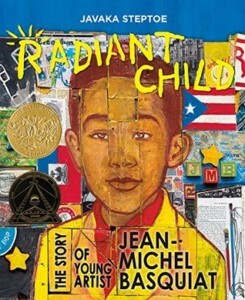 Radiant Child: The Story of Young Artist Jean Michel Basquiat by Javaka Steptoe (2016). This radiant picture book shares the art and story of Jean-Michel Basquiat, an American artist of Haitian and Puerto Rican descent, who rose to fame in the 1980s with his collage-style paintings. Illustrator Javaka Steptoe mirrors Basquiat’s style and shows young readers that art doesn’t have to be neat or “inside the lines” to be beautiful and powerful.